this is a gorgeous art deco steampunk horror game. the aesthetics drive the experience here, although the weapons are very fun to use, even if the difficulty is somewhat neutralized with the vita chambers. it's also nice to see a critique of something specific - objectivism - instead of the usual vague "dystopia" nonsense. oh, and the twist is...fine. i mean it's sort of undermined by the shoehorned "choice" and the rubbish ending(s). but it's fine. Absolutely love the aesthetic and ocean environment, the story behind the game, but this is just not my game. Feels clumsy, repetitive, and fails to stand out in the actual play in any way. I prefer a movie for atmosphere and story, a game needs to have rewarding and engaging play to keep my interest. This was just too repetitive and bland for me. The one good game of the series is a great time for the first three quarters of the game. It's not a masterfully created shooter in terms of mechanics but the environments and skill trees are a lot of fun. Never saw what all the fuss was about. Liked the aesthetic for a while, but otherwise it just felt like a AAA console shooter with some "awesome" powers. Bioshock is a wonderful example of world-building and atmosphere coupled with excellent shooter mechanics. It does, however, start to get a little samey by the halfway point. Most of the game becomes a trek through more of the same environments to find some baddie you need to kill because reasons. The game is fantastic, but it's not the king of the 2000s like some gamers laud it, and it has absolutely nothing on its threequel, Infinite. When you hear there was a bestselling game inspired by the writings of Ayn Rand, you may suspect it to be a largely slow and cerebral ordeal. Similar to Atlas Shrugged. However Bioshock is a vigorous ride and a visual masterpiece. Above all it has a well written story worthy if not better than it's inspiration. I never finished it. I liked the setting, but the gameplay was so... basic shooter, that i get bored after a while, even if i usually put the story and the atmosphere over the gameplay. h20 man. I still remember being amazed by those water effects in 07. Also had one of the best jump scares in history (doctor splicer scene). 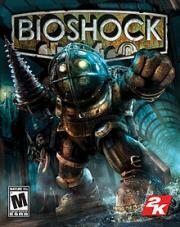 BioShock has great gameplay, compelling characters, fantastic music and delivers on every front. It is perfect.